NEW YORK, December 7, 2018	(Newswire.com) - Wentworth Management Services LLC (“Wentworth”), a growing aggregator of broker-dealers nationwide, today announced that the firm has entered into a purchase agreement to acquire World Equity Group, an independent broker/dealer based in Arlington Heights, Illinois. The announcement was made on the final day of the MarketCounsel Summit being held at the Four Seasons in Las Vegas, Nevada. The transaction, which is subject to FINRA regulatory approval, will expand Wentworth’s footprint in the Midwest and add approximately 180 financial advisors and nearly $40 million in revenue. Wentworth is a holding company that acts as a long-term owner and operating partner for broker-dealers and RIA firms in the independent wealth management channel. The company focuses on established small- to middle-market independent broker/dealers like World Equity Group who are seeking a strategic partner to provide support and scale for their businesses. 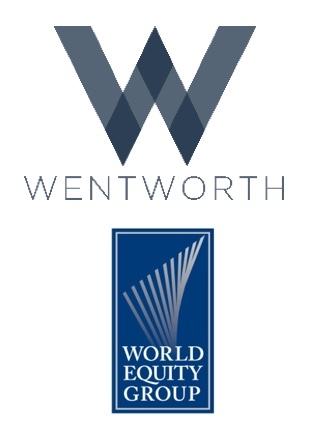 Wentworth is not a private equity fund, rather it is an owner-operator corporate model that is enabling entrepreneurs in the $16.4 trillion U.S. wealth management industry to execute on succession planning. The firm’s strategic focus is to acquire broker/dealers and capture the economies of scale needed to service financial advisors in today’s technology-enabled regulatory environment. Wentworth will continue to make a number of additional roll-up announcements in 2019. In 2017, Wentworth announced the acquisition of Purshe Kaplan Sterling Investments LLC (“PKS”), a full-service, broker-dealer and financial services firm headquartered in Albany, New York. PKS was founded 25 years ago and is a leader with open-architecture friendly broker-dealer support to the RIA community. Wentworth Management Services LLC (“Wentworth”) is a holding company that acquires and manages businesses in the wealth management industry. The company specializes in consolidating independent broker-dealers to capture economies of scale needed to service financial advisors in today's technology-enabled regulatory environment. Wentworth's core philosophy focuses on building long-term, productive partnerships with its advisor base. The open architecture firm also includes a friendly broker-dealer business for RIAs, a dealer-manager business for sponsors coming into the retail capital markets, a middle-market investment banking division and a wholesale distribution division. For more information, go to www.wentworthms.com. Founded in 1993, World Equity Group (“WEG”) is run by top financial professionals and practicing advisors who understand the fee-based business needs of other independent financial advisors. The firm is focused on building individual relationships with every advisor who decides to join the World Equity Group family. Co-founders Rich Babjak and Robert Yarosz consider WEG Registered Representatives business partners, and the entire WEG team works hard to add value to each advisor's practice. The company offers a compelling array of products and services – including investment banking services, alternative investments and sophisticated solutions for accredited investors, and an in-house bond desk – that allow advisors to offer a wide range of solutions aimed at meeting the unique needs of each client. For more information, visit www.WorldEquityGroup.com.